The character of Shazam is one of the oldest superheroes still appearing in comic books today. 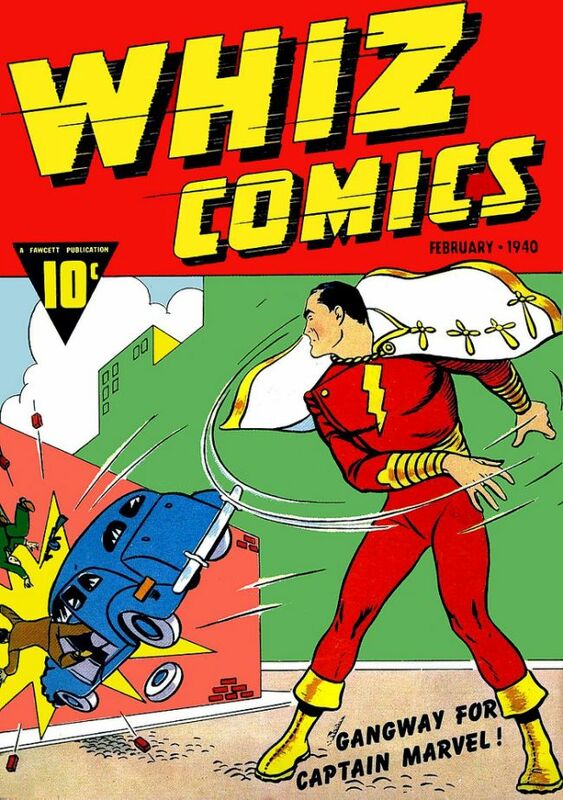 Originally a creation of Fawcett Comics, Shazam was acquired by DC after they claimed the character infringed on their own character Superman, and forced Fawcett to stop publishing his comic book, and were able to buy the character some decades later. Shazam: Origins is a story that was originally published as a backup feature in the mainline Justice League comic book. Like the rest of the New 52, it was part of a new continuity started in 2011, and reset the character of Shazam, with an origin retold for a more modern audience. The backup feature was then collected as its own graphic novel, which has been re-released this year (and is currently on sale on Comixology) to coincide with the new movie. 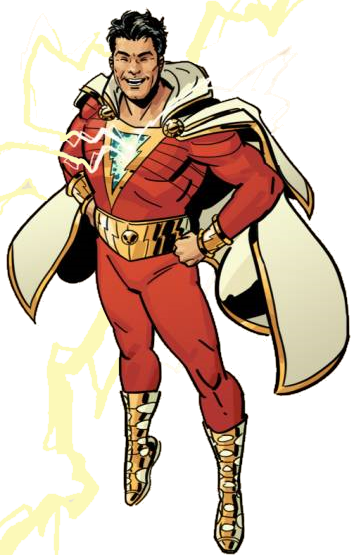 Prior to this, the character of Shazam was actually known as Captain Marvel, but due to disputes with Marvel Comics due to them having their own Captain Marvel, DC was forced to publish Captain Marvel’s stories under the name Shazam. By the time the New 52 came around, it became apparent that it would be easier to just rename Captain Marvel as Shazam, and avoid any further confusion. Thus, when ‘Shazam’ made his debut in the new Justice League series, the name Captain Marvel was all but ignored. The simplicity and directness of this new retelling of Shazam’s origin made it the obvious choice as the basis for adaptation of the new Shazam! movie, and as such, the plot of the new film follows this series quite closely, right down to Billy Batson’s new, more aggressive characterisation. Like the movie, the plot of Shazam: Origins follows the insidious Dr. Thaddeus Sivana in his quest to unearth magic. 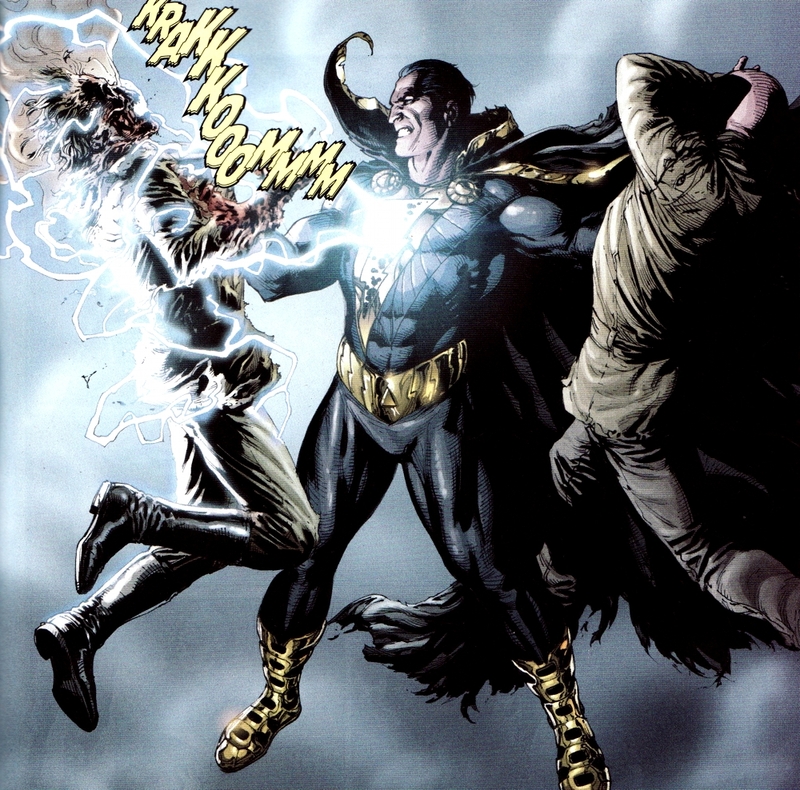 However, unlike the movie, Sivana instead does this by awakening the former ‘champion of magic’, Black Adam. Alongside Black Adam, Sivana releases the personifications of the Seven Deadly Sins of man, to bring magic back into the world. Desperate to combat this monumental threat, the ancient wizard Shazam summons standoffish orphan Billy Batson to the Rock of Eternity, and reluctantly makes him the new champion of magic. Now imbued with the super-powered physique of his perfect, adult self, Billy must learn to be a superhero and save the world from Black Adam and Sivana; all the while acclimatising to life with his new foster family. Outside of this brief run and the new Shazam series that is just a few issues in, the character of Shazam, in his New 52/Rebirth/DC Universe incarnation, hasn’t seen the spotlight much outside of his membership in the Justice League. As such, when it comes to reading up on the complete story of the current Shazam, you’ve literally only got about ten issues to cover in terms of his own solo comics. With that in mind, what with this being the bulk of Shazam-centric material DC has published in their new continuity, it is very accessible. It requires no knowledge of the character, what with it being an origin story, and features very little in the way of cameos from the outside universe. I hadn’t read this comic for quite some time but decided to read it again before seeing the movie. Personally, I like it so much that I think the movie pales in comparison, despite the high praise it’s given. The writing, for one, is superb. Geoff Johns is one of the most prolific writers over at DC Comics at the moment, and while I don’t think his stuff is always great (like the rather bloated Flash: Rebirth), it’s always filled with passion. His Green Lantern: Rebirth is beautiful, exciting and filled with fascinating lore, able to be enjoyed by people like myself who had never really read a Green Lantern comic prior to his. The same is true of Shazam. Although it’s not as densely packed as the Flash and Green Lantern mythologies at this stage, he really builds up a whole new world of magic for the character of Shazam and his family to inhabit. One that, personally, I’d love to see more of. The characters all feel rich and well-motivated, with Black Adam making an awesome and uber-threatening foil to the innocent Billy Batson, and the nefarious Dr. Sivana having much more well-thought-out motivations than his movie counterpart. They’re both evil people, but their anger comes from a place you can understand, even if you can’t agree with it, which, obviously, is what makes the best villains. The same is true of Billy Batson. I hadn’t read a ton of Shazam comics prior to this one, but I can only imagine having a slightly more morally grey kid transforming into Shazam is more interesting than having some goody-two-shoes shouting ‘golly’ and ‘gee whiz’ every five minutes (I don’t know if the old Shazam actually does that or not. Off the top of my head the only other comic I can think of where he was a prominent character is Kingdom Come). Similarly, I just love Gary Frank’s art. 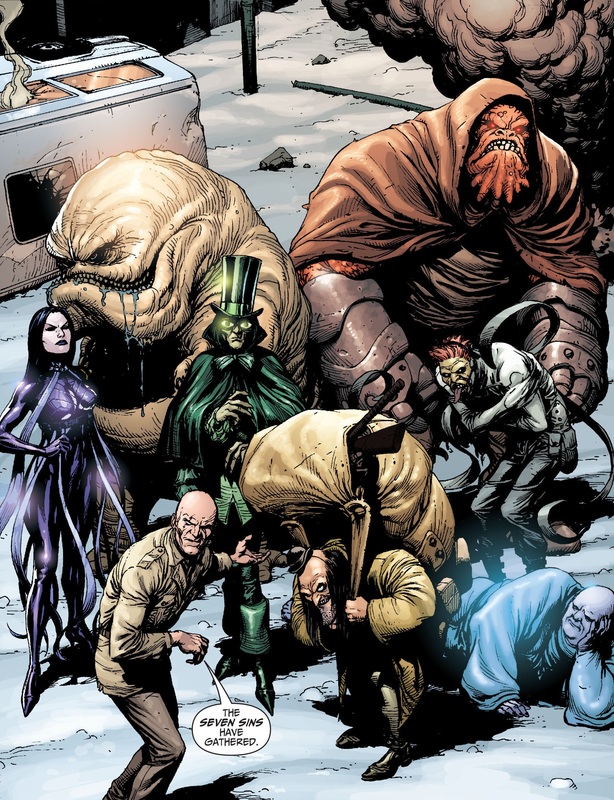 I’ve loved it ever since I first saw it in Supreme Power (Marvel’s gritty take on the Justice League archetypes). He’s able to swap between conveying gritty realism and magical fantasy with ease, and can often blend the two together to make some stunning imagery. And although it’s not relevant here, I appreciate how he always draws Superman like Christopher Reeve, to really hammer down a distinct appearance for the character. I actually met Gary Frank once at a comic-con, and he signed my copy of DC Universe Rebirth for free, which was greatly appreciated. He also let me interview him for a project and kept on sketching while we spoke. It was enjoyable to watch. But I digress. Basically, Gary Frank is great. Geoff Johns is great. And together, they make Shazam great too. You should read this comic.